Bangkok (Thailand), 28 August 2015 – Nok Air, a Thai premium low-cost carrier, welcomed the airline’s first direct-purchased Next-Generation 737-800 “NOK BUDHNAMPETCH”, with a capacity of 189 seats. The delivery marks the first of 15 aircraft the airline has on order with Boeing. “We are pleased to welcome additional 737-800 airplanes into our fleet as it will fuel the expansion of our business to regional and international route. This continuous delivery of brand-new aircraft will allow us to launch more destinations and flights. Nok Air looks forward to introducing Boeing’s new 737 MAX 8 in the next couple of years” said Patee Sarasin, CEO of Nok Air. 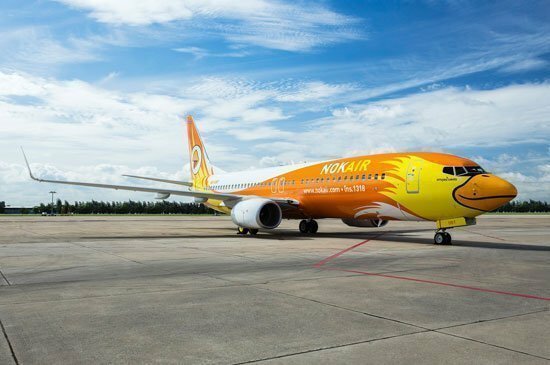 Nok Air currently operates 19 Next-Generation 737-800 airplanes and has an additional six on order with Boeing after this recent delivery. The airline is also a 737 MAX customer with eight 737 MAX 8 airplanes on order.